The Singha Sufficient Schools Project moves forward continuously. This time, SINGHA R-SA cooperated with PB Valley Khao Yai Winery. On February 4th, 2018, we passed on our knowledge to students at Phansuk Songkro School in Nakhon Ratchasima. 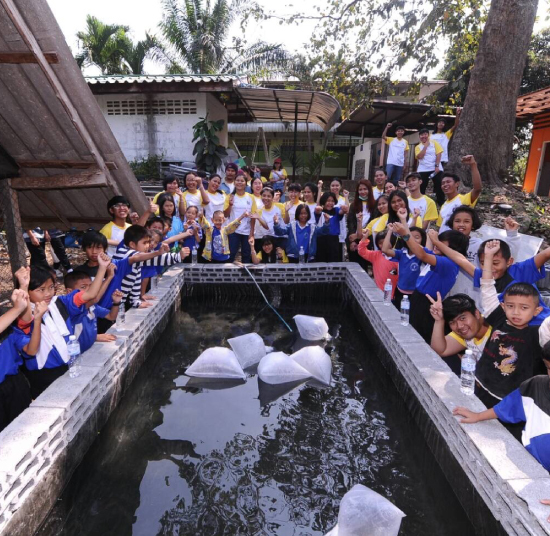 The catfish pond that we built in Phansuk Songkro School was constructed as a movable interlocking brick pond in a small space. We chose to breed catfish because they grow fast and easily. The students learned a lot from experimenting with catfish farming and the project was also very interesting. They will sell the catfish when they grow bigger and also cook them for eating. Growing vegetables is one of the important missions of the Singha Sufficient Schools Project. Students will use these home-grown vegetables as ingredients to cook food. They will also make some money by selling the vegetables. 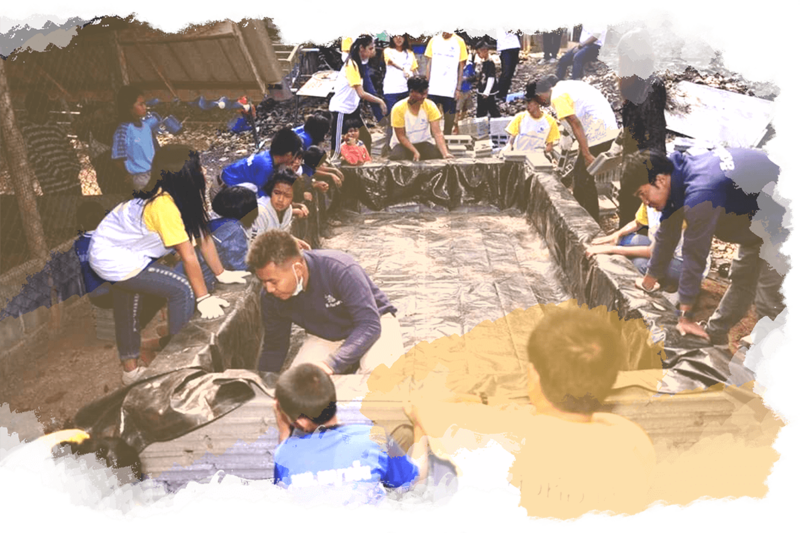 The SINGHA R-SA team planted some vegetables and also built a rooftop to protect the vegetable garden from the sun and rain. The SINGHA R-SA team imparted useful information concerning vegetable planting and fish farming to the villagers and also built a mushroom house. We showed the people how to take care of mushrooms and harvest them. The villagers can also cook and sell the mushrooms that they harvest. After finishing our morning’s work we were ready for lunch. Chef Book taught us how to cook using ingredients from the Sufficiency Economy project. Thank you Chef Book for teaching us how to cook the tasty food. We enjoyed a wonderfully appetizing lunch. This was just the first step to complete the Singha Sufficient Schools Project. The next step involves passing on knowledge to the families, the next generation, and the villagers. If the students can adapt this knowledge and the concept of sufficiency economy their lives will be great and everyone can live happily together. This project was just the beginning of life based on Sufficiency Economy. The next step is passing down knowledge to the next generation.